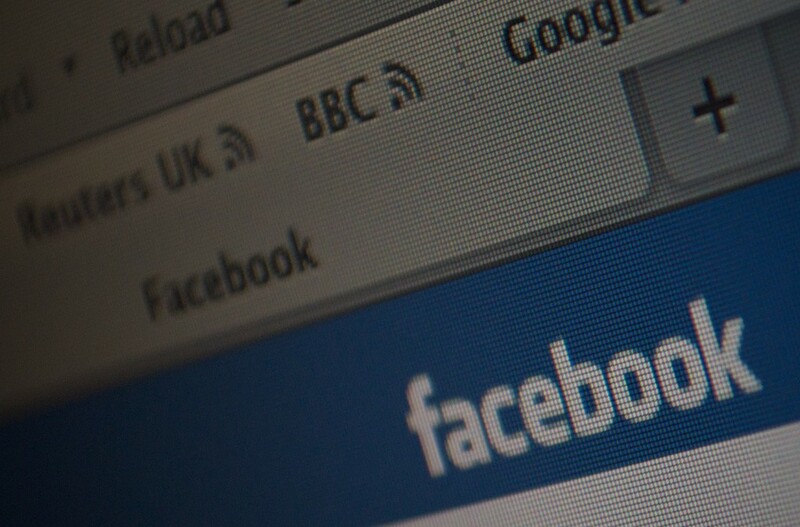 Managing a single Facebook page is a relatively simple and easy task to handle. But the story changes when you are maintaining multiple pages since you have to keep all of them up to date. For example, at my startup BuzzUpp Media we run more than 5 multi-author blogs. Maintaining the Facebook pages for all the 5 sites was really hectic at the start and consumed all my time. I therefore had to search for some efficient ways to get the task done. I tried different websites to get my way out but some just turned to be a waste of time, while others were overpriced. Luckily, I found some really good tools which are effective, affordable and time saving. Read on and find more about these tools. PostRocket acts as a buffer; you can keep adding status updates and the updates gets published automatically at the most appropriate time; this ensures maximum interaction from the fans. 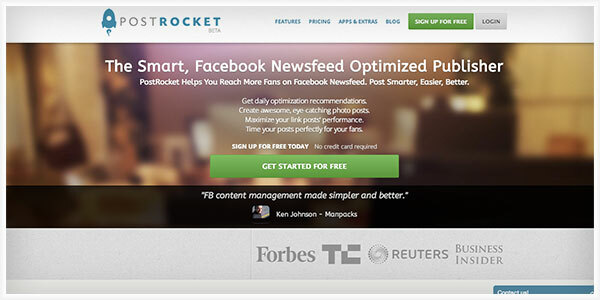 PostRocket is a powerful tool since it can analyze your Facebook Page and give recommendations on what and when to post. It uses the Facebook insights API to get data about your page’s performance and determines what type of posts (images, links, and status) works best. You can add as many posts into your queue and PostRocket will decide when to post them on your page. This helps to save a lot of time especially if you are managing multiple Facebook pages. Another important feature is ‘Smartlink Converter’ which converts a link into an image in just 1 click. Obviously, an image is worth a thousand words and therefore guaranteed to attract more attention from the facebook fans. Smartlink converter allows you to post a link as a photo using one of the images found within the link being shared. They also provide a basic image editor in case you need to give a small retouch to your photos. PostRocket is free for the first 3 basic pages per account. But the free option doesn’t have some of the advanced features like performance reports, collaboration, optimization analysis etc. The Pro plan starts at $9 per page/ per month and includes the advanced features. The best thing is that they offer a 30 day trial free from risks so that you can test service before deciding to go for a paid plan. 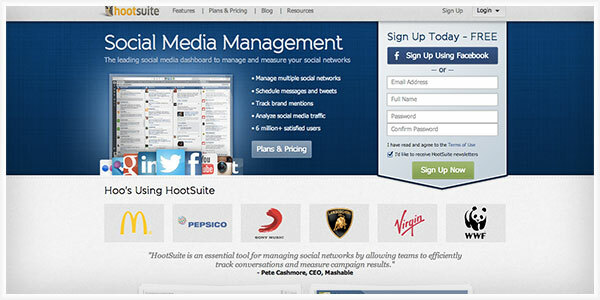 Another popular tool is the HootSuite. It is mostly used as a social media management client, especially for twitter. But it also offers a set of features useful in maintaining your Facebook pages. These include brand monitoring, photo uploading, search streams, geo targeting, report library etc. HootSuite is free for a basic account, but if you manage multiple social profiles then the Pro option is worth considering. The cost is $9.99 per month and allows unlimited profiles, message scheduling, 2 free users, 1 Enhanced report, Google Analytics integration, Facebook Insights integration and unlimited RSS feeds. 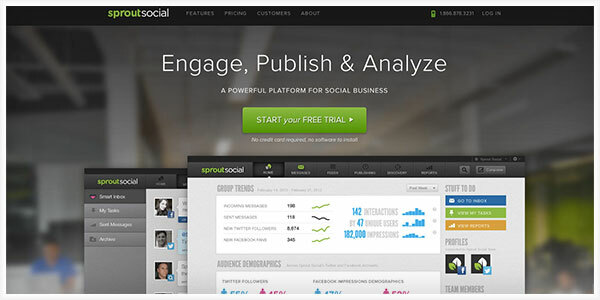 SproutSocial is among the best social media management tool that I have used so far. It is packed with many features and comes with an attractive interface. One important aspect about SproutSocial is that it is more useful for social media marketers, small businesses and social media power users than small bloggers. Many of its features and pricing policies may not be ideal for small bloggers. Some of the key features of SproutSocial include single stream inbox, post scheduling, brand monitoring, help desk etc. In addition to communication tools, Sprout Social offers contact management, competitive insight, lead generation, reporting, analytics and more – all in a package that’s intuitive and easy to use. It’s evident that these features may not be useful for small bloggers. But if you run a small business or you are a social media marketer, then this is a must have tool. With that said, my favorite tools for social media management are known to you and I hope those tools will be helpful to you. If you are looking for some basic features like post scheduling then the free plan of PostRocket will be a good choice. If you run a small business or offer social media marketing as a service then the Pro plans of HootSuite or Sprout social will be a better choice because of the advanced features such as brand monitoring, CRM, custom reports etc. Thanks for sharing these tools Rojish. I am familiar with Hootsuite, but the other two tools are new to me. I am going to give PostRocket a try. Great set of tools you got here. They really look like a big help for social marketing and stuff. I will try these tools as soon as possible especially the SproutSocial. Thank for the informative post Rojish. I have to say, I din’t know these tools but they seems interesting and I will try them for sure. Thanks for a valuable informations Rojish!